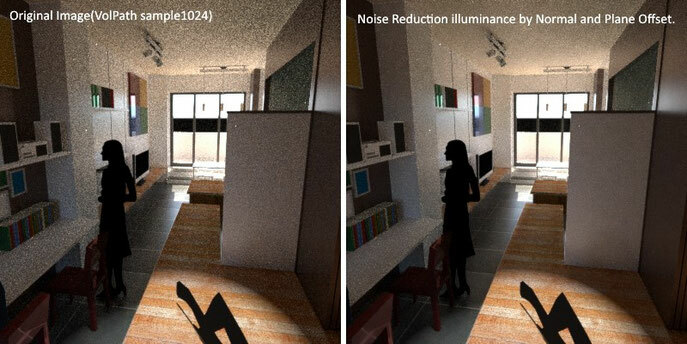 Compare between Original Volpath image and Noise Reduction illuminance image by Normal and Plane Offset infomation. I found the problem of my webgl data on IE10. Improving T2H Export WebGL.Coming Soon.